Community development organizations must be increasingly cognizant of and responsive to their changing neighborhoods. Major demographic factors related to the growth and influx of recent immigrants to the United States are having a notable impact on many communities. 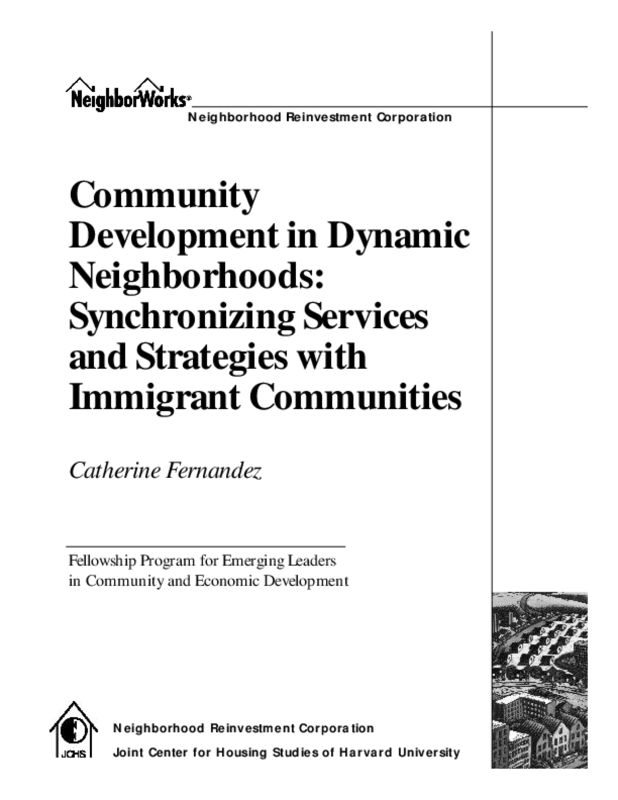 Through a review of current research and interviews with leading experts and practitioners of community development organizations, private lenders and governmental agencies, this analysis explores (1) the importance of immigrants in community development, (2) the response of community development organizations to recent demographic shifts, and (3) the challenges and opportunities practitioners face when connecting immigrants to their communities. Despite growing research about the implications of immigrant markets for the private sector, there is little research about the role and contributions of community development organizations in the integration of new immigrants. Immigration trends and characteristics are different today than those of the late nineteenth and early twentieth centuries. This research concludes that these new demographics drive much of the dynamic change in cities across the United States. CDOs can best address the changes at the local level, but need more data and market analysis of neighborhood trends. These organizations are in a key position to connect newcomers not only to long-term housing, but also to business development, jobs and leadership opportunities through strategic partnerships and planning. Copyright 2003 Catherine Fernandez. The Neighborhood Reinvestment Corporation (dba NeighborWorks® America) has full rights to use and distribute this document.